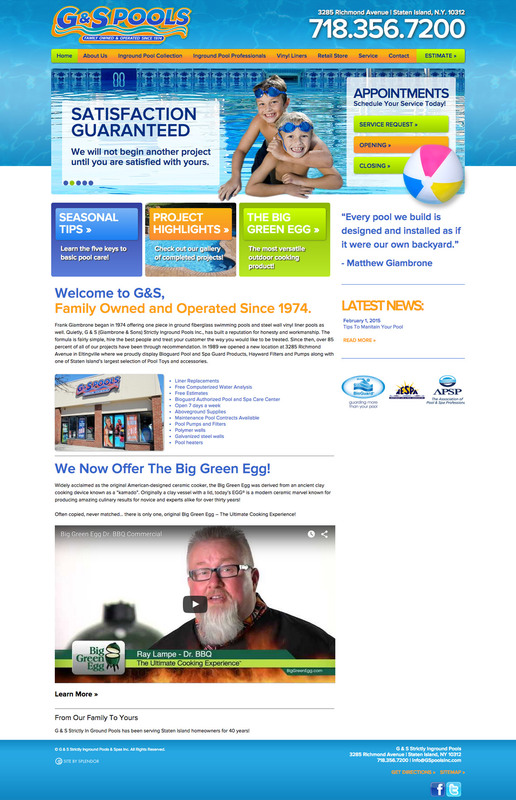 To create a fun and inviting website design for this NY based pool company. The business had been existence for many years, but they needed a website to present the services and showcase their excellent work. This WordPress based website is easy to manage and update, and includes many tools to help the client keep things up to date and current. The visual design of the website is bright and family friendly, with light, summery colors and easy to read titles and content. The photography is well organized into various galleries and helps visitors explore various options.